Ph.D. from IIT Delhi in 2006. M.Sc. from Andhra University in 1997. Professor at IIT Guwahati since Feb 2019. Associate Professor at IIT Guwahati from Nov 2013 to Jan 2019. Assistant Professor at IIT Guwahati from May 2008 to Nov 2013. Sr. Lecturer at IIT Guwahati from Nov 2006 to May 2008. Visiting Scientist at ISI, New Delhi from Jan 2006 to Nov 2006. Teaching Assistant at IIT Delhi from July 2002 to Dec 2005. Guest Faculty at Jawaharlal Nehru University, New Delhi from Aug 2003 to May 2005. Lecturer at Dr. L. B. Post Graduate College, Andhra University, Visakhapatnam from Jan 1999 to July 2002. 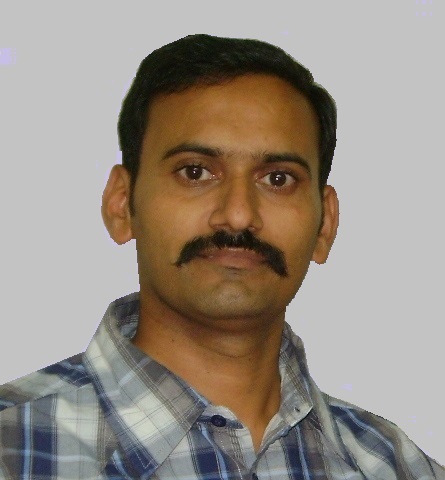 Lecturer at TSR & TBK Degree College, Andhra University, Visakhapatnam from Aug 1997 to Jan 1999.